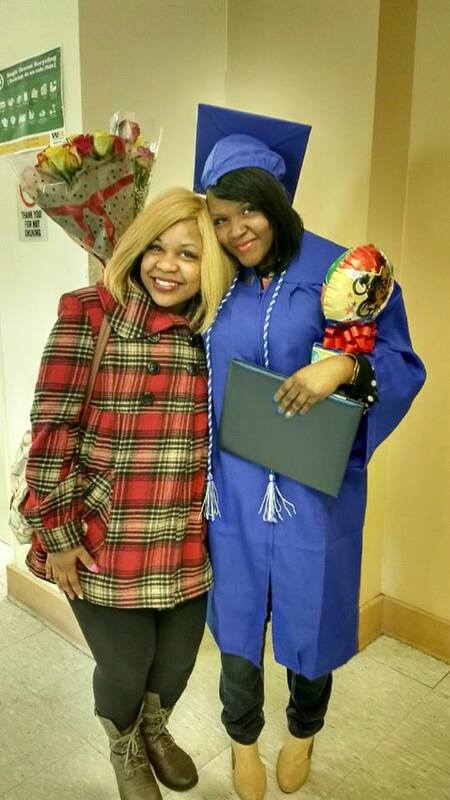 Monique (left) standing proudly with her sister Jasmine at her graduation. We felt so much joy as we watched Jasmine walk across the stage at her graduation this past weekend. Jasmine is the oldest of our Angels’ Arms young adults. She lived in the inaugural Angels’ Arms’ home for over 10 years but her journey to her diploma was not an easy one. Having worked through many personal challenges and hardships, Jasmine graduated as a Pharmacy Technician from St. Louis College of Health Careers on April 2 and is now employed in her field. Her face glowed with pride as she was able to share this long-awaited moment with her family and friends. Jasmina, like her sister Monique (pictured) has proven that no matter the barriers we face, strength and perseverance can see us through to the end. To see the smiles on these sisters’ faces speaks volumes. We’re so proud of Jasmine and look forward to assisting many more youth in the Angels’ Arms Life Launch program to achieve their goals.